Situated on the spectacular Surfers Paradise beachfront, Presidents Apartments is only a few metres away from all the family fun, entertainment and shopping and dining that Surfers Paradise is famous for. As one of the few Gold Coast apartment accommodation that boasts of an absolute beachfront location, President Apartments is perfectly nestled right in front of the sparkling beach and offers direct access to the fine sandy shores of Gold Coast. Surf, bask in the sun, or simply laze around. Just step out our doors, and you’ll find yourself on one of the world’s most desirable beaches. Our Surfers Paradise holiday apartments are designed to ensure your family and friends experience the a pleasurable and comfortable vacation. We provide family units that are fully self-contained with modern furnishings including complete kitchen and laundry facilities. Enjoy breathtaking ocean views from the sun drenched north-east facing balconies. Choose from 1 and 2 bedroom apartment units or enjoy a taste of luxury at the 4 bedroom 2 storey beachend Penthouses at President Apartments. We are conveniently located within five streets south of Cavill Mall and only five minutes walk from all the exciting holiday destinations in Surfers Paradise. With only a short walking distance from bus stops that can take you directly to our theme parks, Sea World, Movie World and Dreamworld. Come join us, and enjoy a much deserved break. 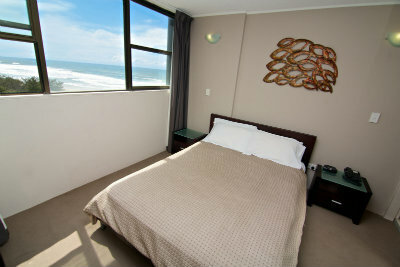 Holiday to your heart’s content at beachfront apartments Surfers Paradise!